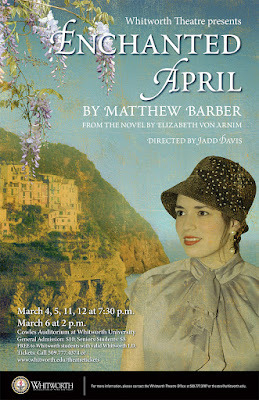 Whitworth Theatre will stage its spring production, Enchanted April, on March 4, 5, 11, and 12 at 7:30 p.m., and on March 6 at 2 p.m. The performances will take place in Cowles Auditorium at Whitworth University. General admission: $10; students and seniors: $8; Whitworth students free with valid student I.D. For tickets, please call (509) 777-3707, visit www.whitworth.edu/theatretickets, or purchase at the box office (cash or check only) beginning one hour prior to the performance. 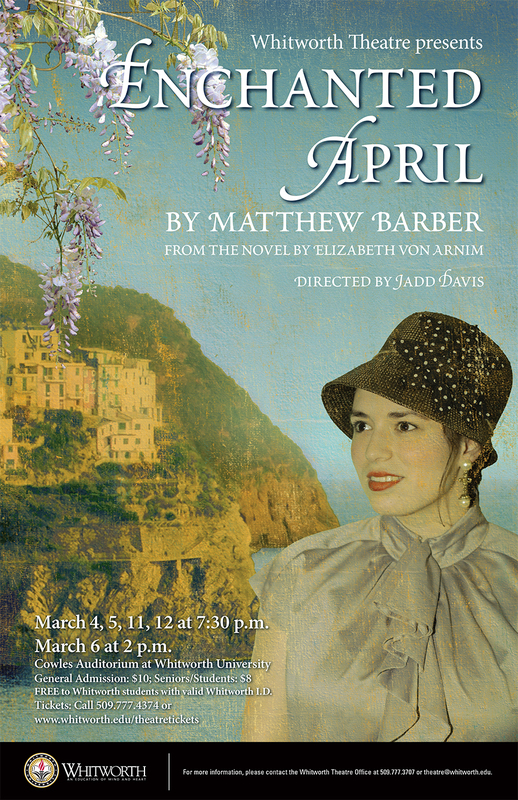 Enchanted April tells the story of two unhappy London housewives who rent a villa in Italy for a holiday. They recruit a pair of difficult upper-class women to share the cost and experience. Together under the Mediterranean sun, the women clash and then begin to bond, rediscovering themselves in hilarious and unexpected ways.